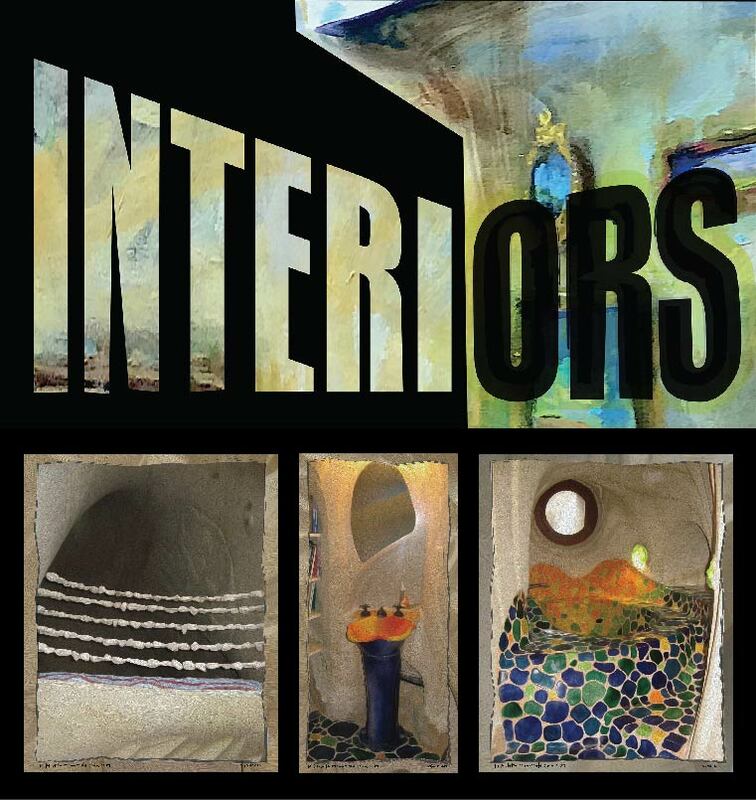 Once again I am joining Gallery35 artists in presenting our newest exhibit, INTERIORS, providing a doorway to eleven artists’ visions of what lies within. For my part, I am exhibiting work created from photographs I took of the interior of a Ra Paulette man-made cave soon after moving to New Mexico. Ra Paulette is an American cave sculptor based in New Mexico who digs into hillsides to sculpt elaborate artistic spaces inside mountains. Since he began sculpting in 1990, he has dug over a dozen caves in New Mexico, this one a liveable space with electricity and running water. The views are fascinating as well as artistically exquisite. If you are in New York City, you are invited to take advantage of two festive receptions where you can view all of the artwork and meet the artists.